Deep below Manhattan, Josh Reed leads his team as they excavate the East Side Access. But sparks fly as the drill hits an unusual crystalline material—one Josh has never seen before. They push on and Josh discovers something even more unexpected . . . a vast room, empty and lifeless. When Josh finds out that the CIA are now looking for him, and that his co-workers have gone missing, he turns to his best friend and boss Lionel Parker for help. Together they unravel the mystery of the room, what’s inside it, and why the CIA are so desperate to keep them silent. 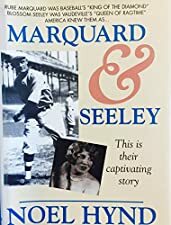 Here is a stunning and largely unknown true story about a scandalous romance, baseball and the American theater in the years before World War One. Think of this as the Joe Di Maggio and Marilyn Monroe of an earlier era. Former ‘Sports Illustrated’ contributor Noel Hynd has recreated a fascinating era in all its scandal, sexiness, charm and glamour. A memorable true tale! 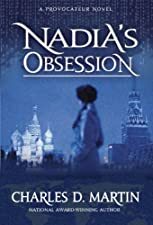 Nadia was born an orphan and had a troubled, desperate early life, but was blessed with superior intelligence and beauty. She escaped her impoverished circumstances, coming to America through a mail-order-bride program. In America she became involved with an ex-CIA agent named Olga andis catapulted into a thrilling and dangerous life. Charles Martin once again holds us spellbound and leaves us wanting more.